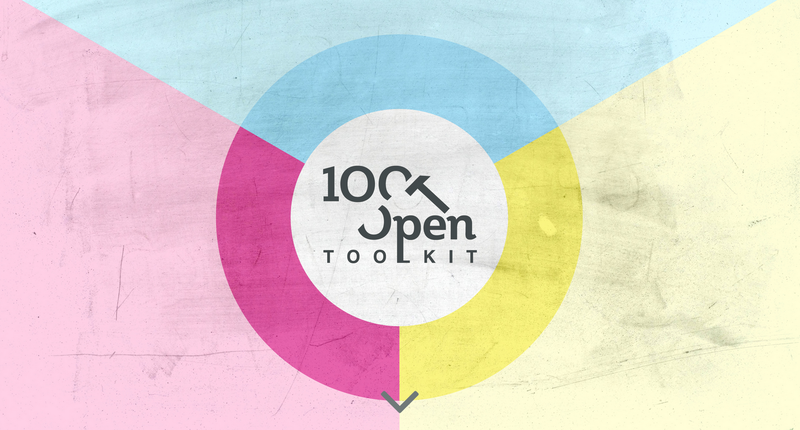 We’ve launched the 100%Open Innovation Toolkit! At 100%Open it’s our mission to get the whole world to open up and collaborate. This is why we’ve decided to release our new toolkit so anyone can benefit from our experience and innovate better together. So here you will find our toolkit. 100%Open has designed it to help you make a success of open innovation, whether this is your first project or whether you’re an experienced practitioner. It brings together the lessons that we have learned on over a hundred programmes since 2006 with organisations as diverse as Procter & Gamble, Orange, LEGO, Oxfam, the United Nations, and even whole countries and industry sectors. The tools themselves cover each stage of the open innovation process from agreeing a strategy for collaboration, through finding and prototyping new ideas, to implementing a business model that benefits each partner. Within large organisations, we hope that the terms and practices contained in this toolkit will make it easier to communicate about open innovation with a common language and for colleagues and partners to work better together across disciplines and geographies. You will find instructions for each tool when you download it as well as a worked example to make things even clearer. You can freely use the 100%Open Innovation Toolkit under a Creative Commons (attributable) licence. In return, if you use it please call it the “100%Open Innovation Toolkit” and credit us by name (100%Open) and URL (www.toolkit.sh-development.co.uk). We’d love to hear back how you have implemented, adapted and added to the tools within your own organisations and projects and you’ll find contact details on the site. A suite of tailored services is also on offer here for any organisations wishing to be trained in the tools, or wishing to customise or build on the toolkit. The toolkit is, as you might expect, a collaborative effort. So thanks to all our partners and colleagues who have had a hand in developing the toolkit or provided ideas and content for it. You will find yourselves credited on the site. We wish you productive partnerships and successful open innovating! David, Murray and the 100%Open team.